Easter is celebrated with special splendor in the local island tradition. 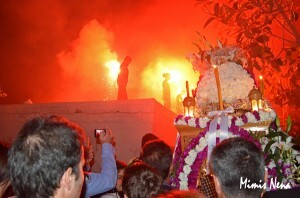 The procession of the Epitaph takes place in the port area – illuminated with torches, while the announcement of the Resurrection 24 hours later is accompanied by the barrage of fireworks and firecrackers. 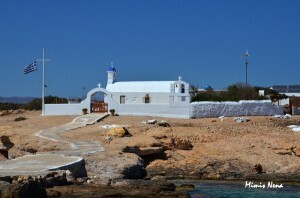 After mass on the Day of Agios Georgios (Saint George) – the island’ s patron saint – a specially designated local person who has taken vows in the saint, makes the round of the island holding the icon while the local boats (caiques) accompany him, sailing along the coast. The procession ends at the village where a traditional feast with food and drink follows. Feasting is resumed in the local tavernas in the evening. 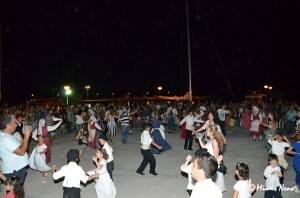 The Fisherman’ s Feast is held on the last Saturday of June, with excellent sea food tidbits and wine, while people dance in the streets and the square to the sound of live music. 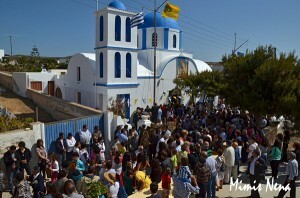 On the Day of the Assumption of the Virgin (Panagia), all the islanders go by boat to Kato Koufonissi. After mass, they feast and offer local dishes. A boat (caique) race is held on the return journey to port and more treats follow to the sound of violins.